Unlike GA aircraft often used for personal and routine flights, vintage warbirds are typically ‘show planes’ and by their very nature are commonly put through the rigors of aerobatics, formation flying, and many hard maneuvers to the delight of aviation fans everywhere – no small feat for planes half a century or more old. This type of use puts demands on airframe and power plants that requires frequent discriminating scrutiny of all components and mechanics. 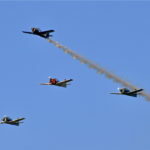 Radial engines, military systems, and the annual “care and feeding” – as it is often said – of these unique birds takes much experience to do it right. But the real question to ask is, what do Warbirds and GA have in common? The answer is quite simple – LOTS! Warbirds are very systems driven and a mechanic who is verse at working on these complex systems gains experience that translates perfectly to those of the more straightforward, or simpler, GA aircraft. Vintage warbirds from the 40’s and 50’s have been put through countless hours of use – hard use. Making sure that these workhorses are structurally airworthy requires a very high level of attention to detail and a discerning eye to potential areas of concern. And there lies the benefit to the vast majority of GA owners; the experiences gained by professionals who are uniquely trained to work on de-commissioned military aircraft provide an added level scrutiny when it comes to performing an annual inspection on GA planes. 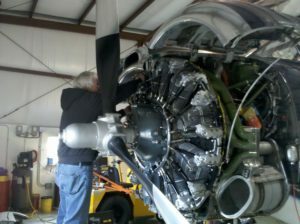 Sky Manor Air Repair and Avionics has IAs on staff with over 30 years of combined military aircraft services experience and a passion for not only maintaining but also flying vintage warbirds. 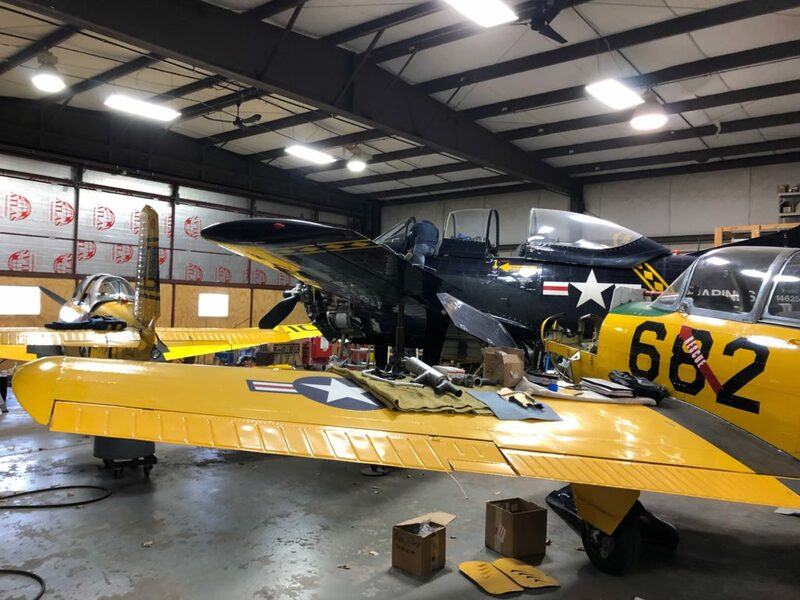 Since we began Sky Manor Air Repair nearly 7 years ago, warbird owners of T34’s, T28’s, T6s’ and other classics have come to us to provide service and inspections. So whether you own a warbird or GA aircraft, trust that your plane, your pride, is maintained by those with the most extensive knowledge that comes from this experience. Bring it to Sky Manor Air Repair! Next PostNext Is it safe? Know before you own.